These styles are so new, they're not even in stores yet. They are full priced and not eligible for markdowns at this time. Excludes: Clearance, Gift Cards, eGift Cards Enjoy $10 off every $50 you spend when you enter promo code TAKE10 at checkout. 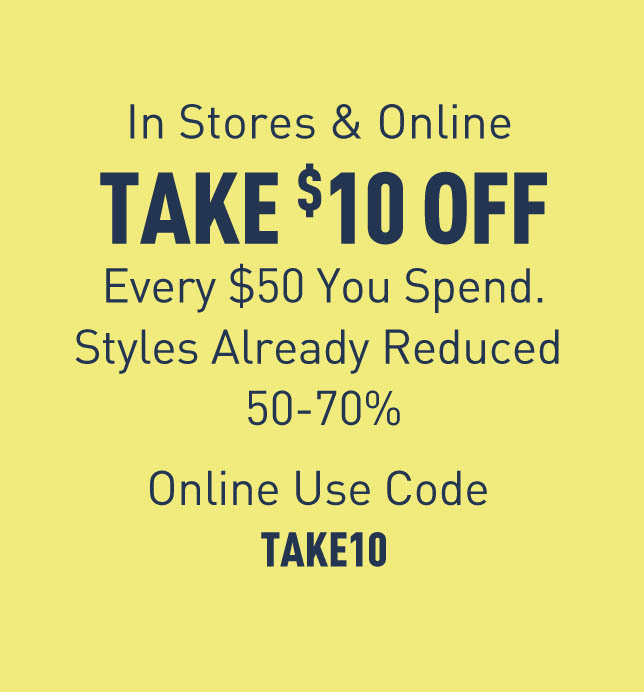 Offer valid through 4/20/2019 at 11:59 PM EST, online only at www.aeropostale.com. Discount does not apply to Clearance, GiftCards and eGift cards, bulk purchases (Purchases over 50 items in a single day) or previous purchases. Eligible total must be reached prior to any tax and shipping charges and after any other applicable discounts. All promotions quoted in U.S. Dollars. No adjustments on previous purchases. Not valid for cash or cash equivalent. Cannot be combined with other promos. Discount not to exceed $80.00 per order. This babydoll top boasts stretchy smocking for an extra-comfortable fit.